Bristol & Dubiel LLP, is a full-service law firm offering skilled legal representation to people bringing cases to court for serious or catastrophic injuries they’ve suffered on dangerous premises. Slip and fall injuries such as back or spine injuries when a customer slips on a wet floor that lacks signage to warn customers of slippery conditions at a store, club, salon, restaurant, etc. Trip and fall injuries such as fractures when a hotel guest trips on cleaning supplies left in a hallway or a rug that is frayed or bunched up in front of a door. Dog bites from a dog that is not adequately restrained on its owner’s property. Being struck in the head or body by falling merchandise at a warehouse or store. Suffering a bodily injury from a malfunctioning elevator or a door with a broken closing device. Being sexually assaulted because a hotel did not provide adequate security. Dram Shop liability because a restaurant or Bar served its customer drinks until he/she was intoxicated and then the customer drove and injured a person. “Premises Liability” refers to accidents that occur due to the negligent maintenance, operation or design of a property owned by someone other than the accident victim. This includes claims against a landlord on behalf of a tenant or against the landowner for injuries suffered by an individual who was lawfully on the property. The term “Premises Liability” encompasses a wide range of events that cause injury and may give rise to liability. For example, a slip and fall due to a wet or defective floor may be actionable against a landowner or a landlord. Other examples include claims for inadequate security, lighting or the failure to properly maintain railings, porches or stairs. These are examples of premises liability actions. Each set of facts giving rise to an injury on a premises must be individually evaluated. If you would like to speak to an aggressive and dedicated Dallas slip and fall lawyer at Bristol & Dubiel LLP, contact our office to request a free initial consultation. The relationship between the injured party and the owner or operator of the property affects the duty which may be owed to the injured person. Landlords owe a different duty to their tenants than does a landowner to people lawfully visiting the premises. In other words, a landlord may owe a different duty to a tenant than the owner of a store owes to a patron. When Is a Landowner Liable for Injury? the condition of the defendant’s property was a cause of the injury to the plaintiff. One of the more difficult elements for a plaintiff to prove is that the defendant knew or should have known of the dangerous condition. It is not necessary to prove that the landowner knew or should have known of the dangerous condition if there is evidence that the dangerous condition was created by the defendant, its agents (employees) or their activities. In such cases, the landowner has a duty to exercise ordinary care for the safety of those lawfully on the property. As notice of a dangerous condition is often the most difficult element of a premises liability action to prove, cases involving a defective condition created by the landowner may be more likely to succeed. The law in Texas draws a distinction between those injuries which occur in areas “reserved for common use” and those which occur in space leased to a tenant. Areas “reserved for common use” include hallways, stairways or the parking lot. The space leased to the tenant such as an apartment are not “reserved for common use”. 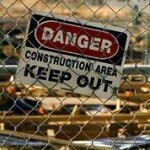 The landlord must be careful to keep the premises reserved for common use reasonably safe. The law requires that the landlord have either actual or constructive knowledge of the dangerous condition which causes injury. For example, the plaintiff must prove that a railing that fails on a shared porch was not kept in a reasonably safe condition and that the landlord knew or should have known that the railing was defective. Whether the landlord had actual or constructive knowledge of the dangerous condition is again oftentimes the most difficult element for the plaintiff to prove. It is not however necessary to prove actual or constructive knowledge of the dangerous condition if the condition was created by the defendant. What if the injury occurred not in an area reserved for common use but within the leased space? A landlord may be liable for injuries suffered as a result of a defective condition within an apartment or other area leased to tenants. A landlord must tell a tenant of a defect on the premises about which he knows or, from facts known to him, should know, and which could not be discovered by the tenant after a reasonable inspection. The landlord must tell the tenant about known defects at the time the tenant moves in. The issue of whether a landlord knew or should have known of a defective condition before the tenant moved in, is oftentimes contentious. At the Law Office of Bristol & Dubiel LLP, we provide effective legal representation to injured people and their families in the Dallas-Fort Worth metroplex and throughout North Texas and Oklahoma.